Professor Yee is a cultural and social psychologist whose distinguished teaching and researching career spanned over 40 years, from teaching underprivileged and gifted kids to being professor and academic dean in the U.S. and East Asia: Japan, Mainland China, Hong Kong and Singapore. 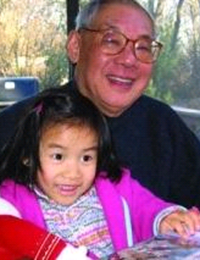 Retired in 1995, this fourth-generation Chinese American was a G.I. in the Korean War when he was young. Then in 1972, he assisted planning U.S. President Nixon's groundbreaking Chinese visit, and helped draft the provisions of the Shanghai Communique for educational, scientific, and cultural exchanges between America and China. He has published over a hundren journal articles in international newspapers; and 12 books, including his latest, Raising and Teaching Children For Their Tomorrows. He also edited a book called Whither Hong Kong (1999), about the conflict between humanitarianism and autocracy in colonial Hong Kong. In 2012, he chaired Hong Kong's territory-wide survey of pre and primary education aimed at improvements. Home education should begin as soon as a child is born. Why is early childhood education so important? How do parenting styles influence a child's growth into adulthood and the society as a whole?